Christian O’Connell is the perfect person to write a book about a child DJ. A multi-award winning broadcaster in the UK, he is also a stand-up comedian. Here he offers readers lots of laughs with some excellent life lessons thrown in. Spike at eleven years old is the youngest DJ ever. He’s just been sacked from his dream job at Hospital Radio and has lost his bearings, as he’s not very good at anything else. His expectations of broadcasting at the new radio station at school are snatched by his nemesis Martin, after an overhaul of the program. As an alternate social activity, Spike is sent to karate class in his sister’s old uniform. This splits with the first kick. Humiliated, he refuses to return. 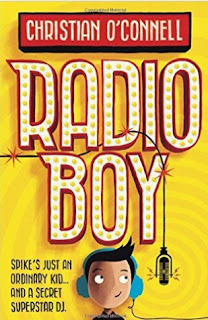 To avoid chess club, and inspired by his dad’s never-give-up attitude, incognito, he starts his own underground broadcasting station from dad’s garden shed with his friends, Artie and Holly. At times cringe-worthy, but always humorous and with a strong optimistic theme that carries the story, we see Spike fight to realize his dream of being a successful DJ. Sabotage, ridicule, and many negative obstacles are thrown his way, but Spike is determined to make his show and himself, famous. Sometimes success and fame can go to one’s head. Will Spike fall into this trap? Or will his mistakes serve to make him a better person? 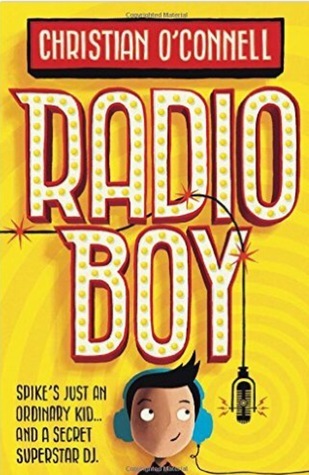 A terrific and uplifting read, Radio Boy reinforces the belief that you should never give up on your dreams, no matter how impossible or improbable they may seem.